The Roma Holocaust Memorial Day is going to be commemorated in Vilnius on 2nd August (Tuesday); at 2.00 p.m. flowers will be laid by the monument in Paneriai (among the 100,000 murdered people, there were also some of Romani nationality), and at 4.00 the Museum of Genocide Victims (ul. Aukų 2A) will be screening “Papusza”, the film depicting life of the Romani poet Bronisława Wajs. The proceedings of the International Roma Holocaust Memorial Day will take place at the former German extermination camp Auschwitz II-Birkenau on Tuesday with the participation of the Romani and Sinti survivors, as well as representatives of the Polish authorities and diplomats. The 2nd of August happens to be the 72th anniversary of the so-called Gypsy Family Camp (Zigeunerfamilienlager) liquidation. During the night the Germans exterminated in a gas chamber the still living 2,897 Romani people. To commemorate the victims of the crime, during the World War II, the European Parliament designated the 2nd day of August as the Roma Holocaust Memorial Day. 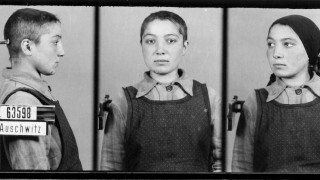 In terms of population, the Roma constituted the third group, after Jews and Poles, of people deported to KL Auschwitz. Shipments with them came from fourteen countries. They got mainly to the Gypsy Camp. Between 26th February 1943 and 21st July 1944, Germans deported there nearly 21,000 people. In total, there were approx. 23,000 Romani people imprisoned in Auschwitz. Germans murdered about 21,000; the rest were moved to other camps. It is estimated that, as a result of the persecution and terror, half of the Roma living on the lands occupied by Germans, which amounted to about one million people, suffered death during the time of the Third Reich. In some countries, however, 80 percent of the Romani population died. It is estimated that in June of 1941 still about 1,500 Roma people lived in Lithuania. Every third person of this nationality died during the war; the Roma who survived were those who lead the sedentary lifestyle. According to the latest General Census of 2011, slightly more than 2,100 Romani people live in Lithuania, which constitutes 0.07 percent of the whole country population.